All Drop-in must play games and use rally point system, When you play games, you can only play two games and you need to switch with other players. 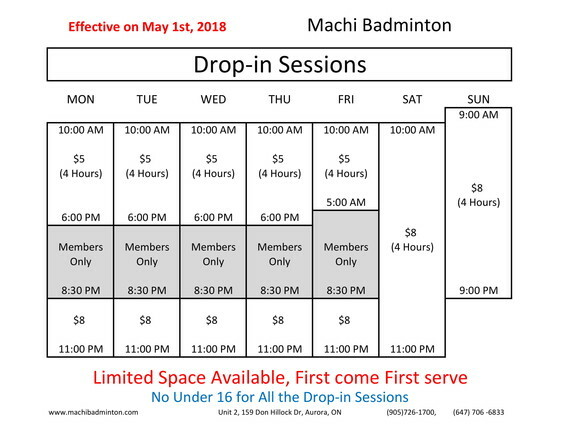 All $8 session request intermediate level and up. Limited space, first come first serve. * Holidays price will be same as Sunday.